Back in the old days, folks would hitch a ride on a wagon and trek into town for their monthly supplies. Towns typically had a sole proprietor responsible for general merchandise and wares. The introduction of the railways, automobiles, and the Internet superhighway dramatically changed the way we shop and the way businesses function. Perhaps the most innovative change of all is the pocket rocket known as the smartphone. Mobile functionality vis-à-vis smartphones, tablets, and even phablets are revolutionizing e-commerce and traditional business in ways we never imagined. Gone are the days when we preferred to take to the roads and sit in traffic to reach our favorite retail outlet. We simply power up and shop online at our convenience. Online browsing, online shopping, and online living are the new normal. Businesses must adapt to this shift, or else be relegated to the annals of history. We will explore 5 unique ways that online reviews can make your business work. Let the countdown begin! There is a fine line between an on-site review and a review posted on an objective review site. Regardless, customers are more likely to appreciate your business if they have a window into the customer’s perspective of your products and services. A hand-picked selection of positive reviews is unlikely to sway general customer opinion. People prefer objective reviews which provide an accurate, detailed, and unbiased perspective of your company’s products. The best way to do this is to encourage customers to provide online reviews and publish them on site. If the reviews are negative, provide immediate assistance in the form of feedback and resolution. 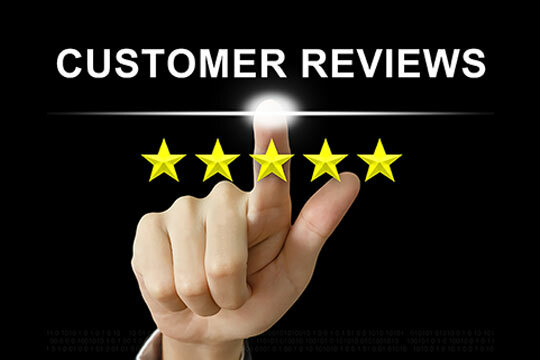 Customers read comments attached to reviews to gauge the responsiveness of the company. Recommended for you: Ultimate Guide to Rank Your E-Commerce Site in SERP. In the days of old, businesses got referrals through word-of-mouth. If people speak well of a business, it gains traction with others who may be inclined to patronize the establishment. The World Wide Web is too vast for people to meet in person to discuss the merits of this business or that. That’s why online reviews are the premier way to influence public opinion for the better. With an online review, you can easily market your company to a greater audience and boost your search engine ranking in the process. If done correctly, this can increase your return on investment, and lead to greater credibility in the eyes of your customers. Your business is your baby. It needs to be nurtured from inception to maturity. Fortunately, you have multiple tools at your disposal, including online review sites. There is a myriad of top-ranked review sites such as Angie’s list, BBB, Trustpilot, Amazon and the like. It’s important to direct your customers to these review sites so that they can relay their thoughts about your company to the mass market. Nothing is better than favorable reviews at major online review sites. While everybody knows that Google reviews are important, there are many others that are just as credible, and equally referenced by customers. Make use of these platforms to enhance your visibility on the World Wide Web and to boost your company’s credibility. Online reviews are the best way to evaluate the quality of products and services. It’s difficult to know which VPN service, background check site, VoIP, POS system or Antivirus software is best for your business. Fortunately, credible online review sites can make it possible to evaluate these companies so that you can make an informed decision for your business. But make sure to find the information from ethical sites. There are many sites provides biased information and do not unfold the actual stories behind any product or service. Check those sites who provide valuable, genuine and unbiased information and rely on them to make a good choice. The above statement is absolutely true; you have to find those sites who follow these in the time of producing their reviews. You may also like: Top Social Media Marketing Tricks You Haven't Been Using. Current online reviews are preferred to dated reviews. Stats indicate that customers are averse to old reviews and prefer reviews that are at most 90 days old. For this reason, it’s important to set up your reviews in a chronological way so that the most recent reviews are presented to your customers. Is Posting Fake Reviews for Your Online Business Worth the Risk?